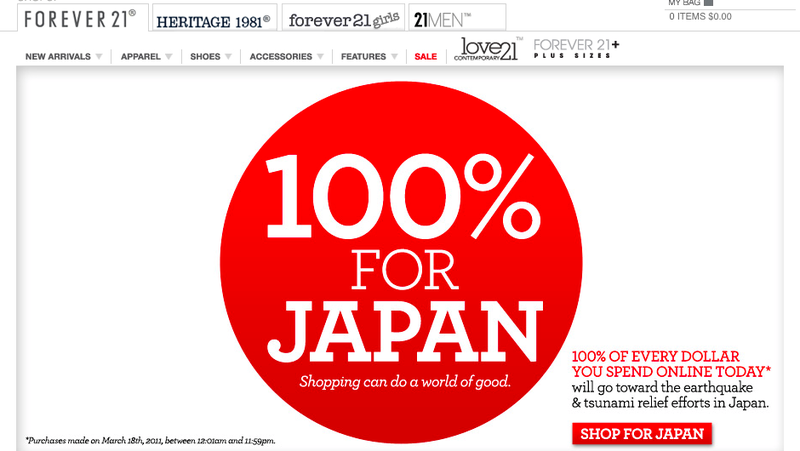 Today only, 100% of every dollar you spend on Forever21.com will go toward the earthquake and tsunami relief efforts in Japan. Good hustle on their part. As Georgia just said to me, "good excuse".